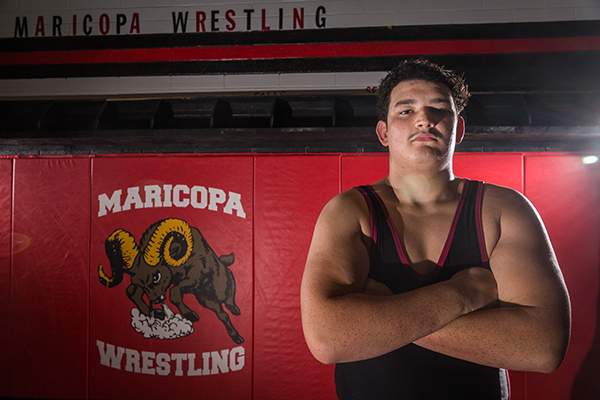 The Maricopa High School Wrestling team put its largely rookie squad to the test at their home meet Nov. 30 claiming a victory in one of two match-ups. 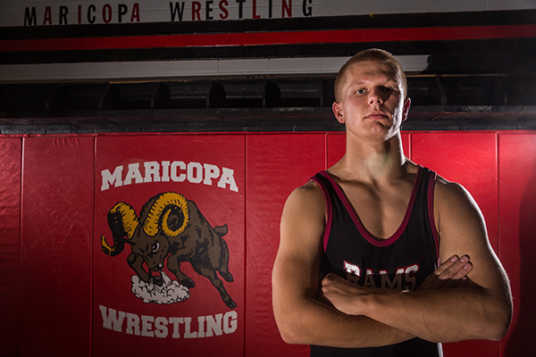 The Rams handily defeated an ill-equipped Notre Dame Prep at their first of two home meets this season with eight wins by forfeit, two by decision and one by fall. 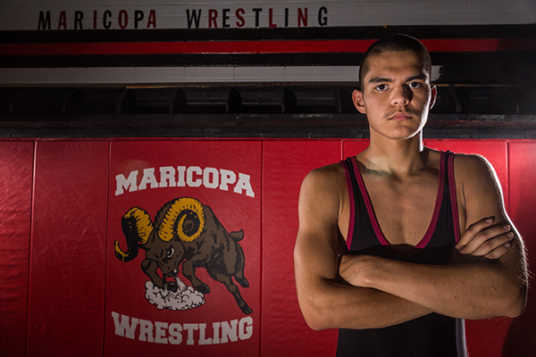 Maricopa wrestlers claimed victories at all but one match-up where Maricopa’s 170-pounder David Skelton was pinned by Notre Dame’s Brock Locrikar one minute and 42 seconds into the first round. Campo Verde put up a much stronger fight, defeating the Rams in 11 of 14 match-ups. 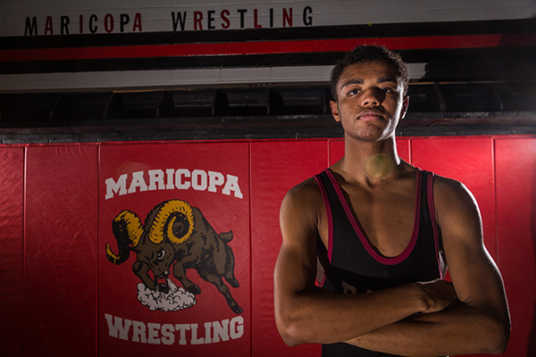 Maricopa wrestlers Tylen Coleman (220 pounds), Randy Figueroa (145 pounds) and Kevin McDill (120 pounds), however, all claimed victories by pinning their opponents. Head coach Erik Fierro is well-pleased with his wrestlers despite mixed results from the first meet. He acknowledges with such an inexperienced team many of his wrestlers still have a lot to learn, but despite their novice level the newcomers are doing well with the responsibilities of being a varsity wrestler. 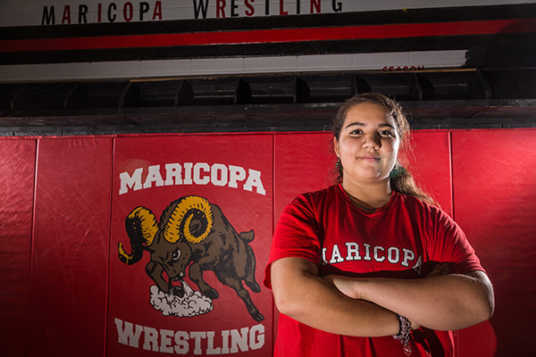 Fierro’s main goal this year is not only to bring home victories but also to expand and strengthen the program by tapping into the potential of athletes from other sports. One of his major selling points in this effort is an appeal to athletes with a more individualistic nature. “With wrestling, you are the reason you win or lose,” Fierro said. Wrestling is a sport that also offers others a chance to become more well-rounded athletes who, after wrestling, return to their primary sports with a whole new skill set. Fierro worked tirelessly during the off season with coaches and directors of other athletic organizations in an attempt to add depth to this year’s roster. 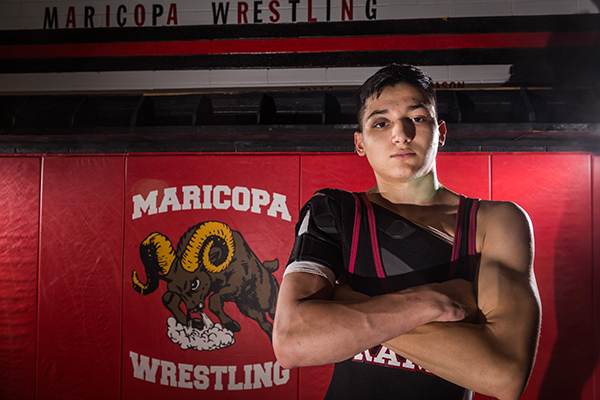 As a result of his efforts, Fierro has produced a nearly complete though rookie squad with only the 103-pound and 113-pound weight classes empty. 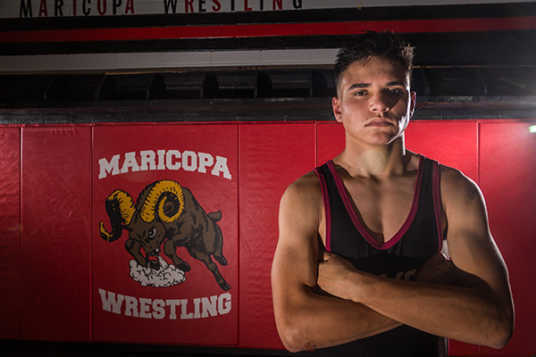 Wrestling for the Rams this season are three advanced wrestlers, all seniors, who Fierro believes have the potential to make it to the state level. Luis Alvarez (126 pounds), Randy Figueroa (145 pounds) and Dakota Halverson (285 pounds) all bring a level of skill and leadership to the mat this year that could prove invaluable to the team’s success. Fierro also hopes to see growth in support for the organization. He’s encouraging families and community members to attend matches, home and away, to energize the wrestlers and help push the team to victory. 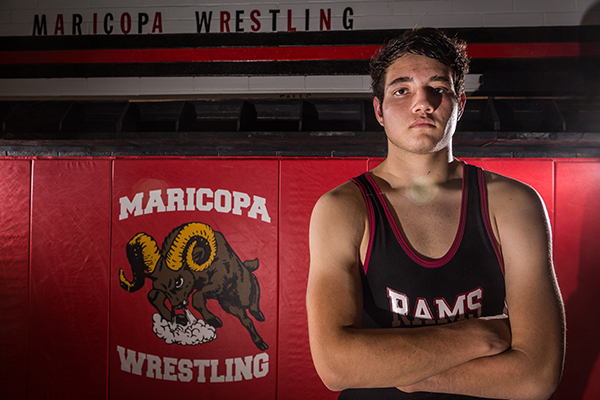 The Rams compete Wednesday at Tempe High School.